Are you taller than 6 foot 3 inches and/or have trouble tying a normal length necktie to the right length? Then XL ties are the perfect fit for you. This tie measures 62 inches and is 4 inches longer than a regular sized necktie. 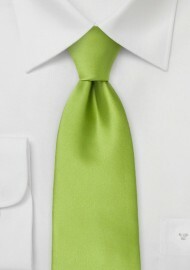 The solid bright green color on this tie is a perfect match for the spring. The tie has excellent shine and a sot feel. It is made from a stain-resistant microfiber that looks and feels like a silk tie, but is a lot more care-free. 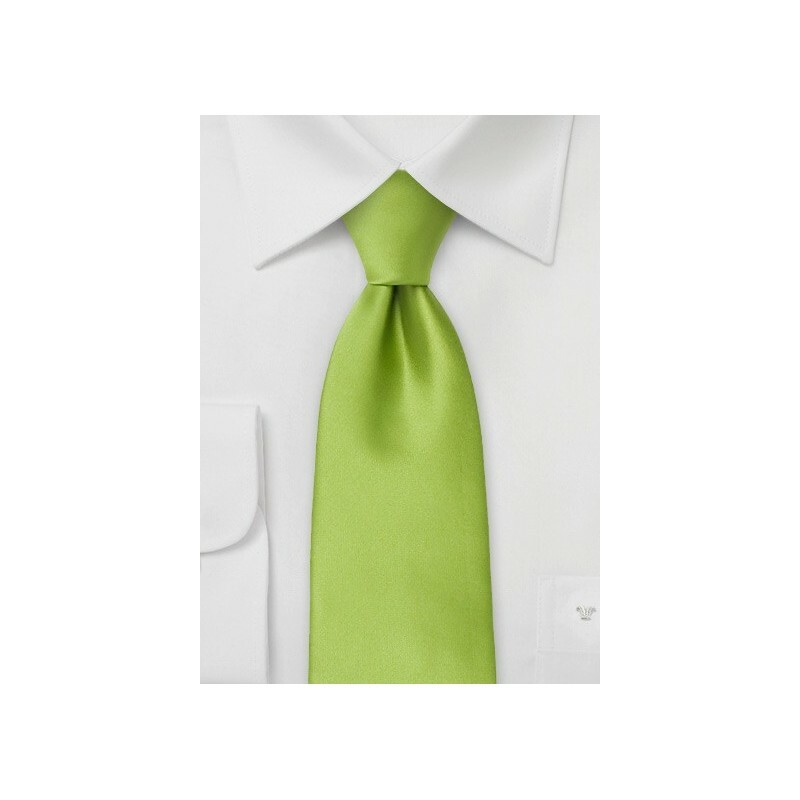 This tie is also available as regular length Bright Green Necktie. XL Length: 62", Tie Width: 3.25"